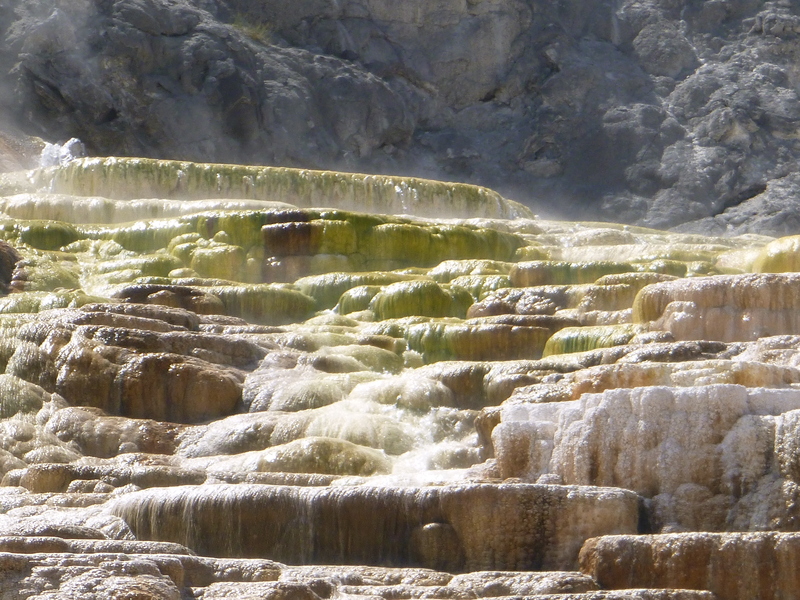 My favorite parts of Yellowstone were almost all geothermal features. 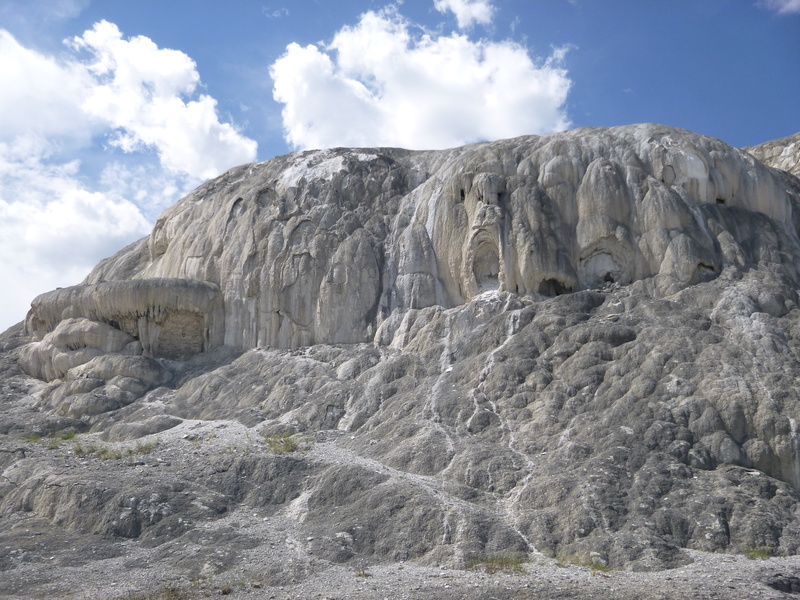 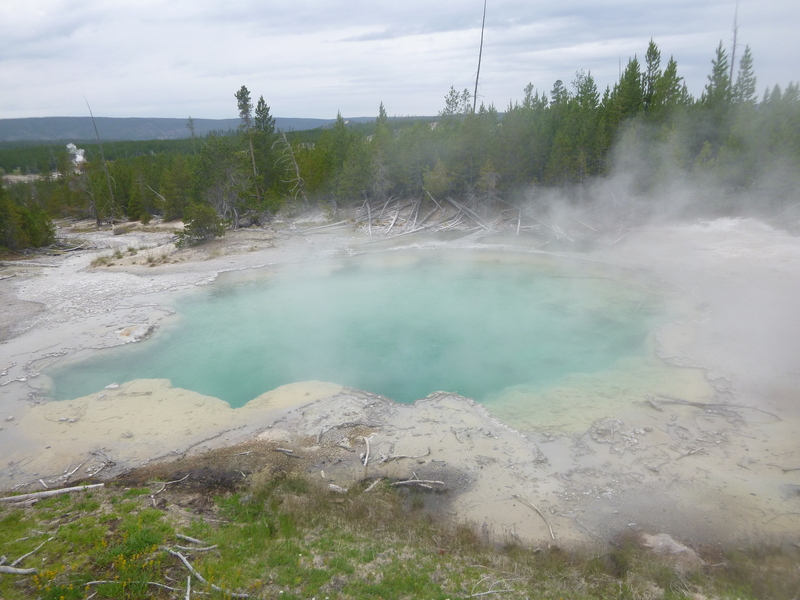 Because the park is located over an underground active volcano, there are numerous geysers, hot springs, boiling mud pits, and other formations created by underground pressure and heat. 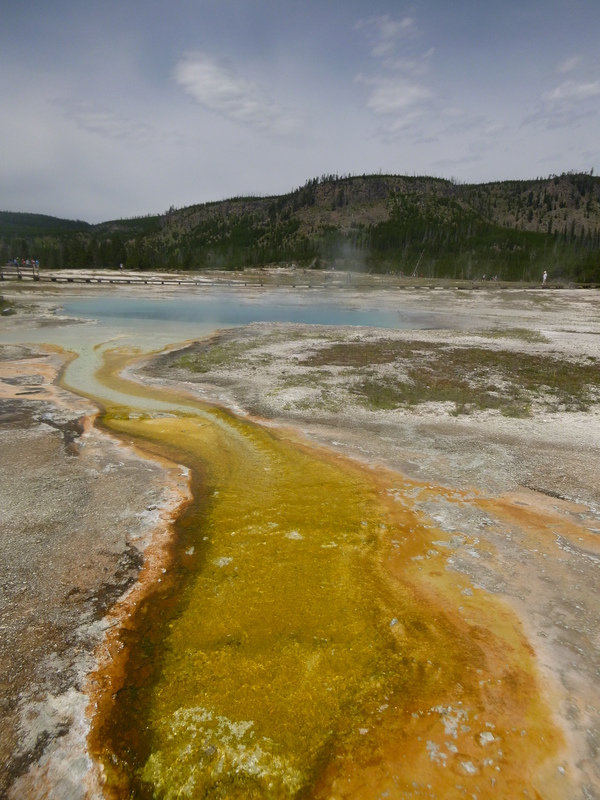 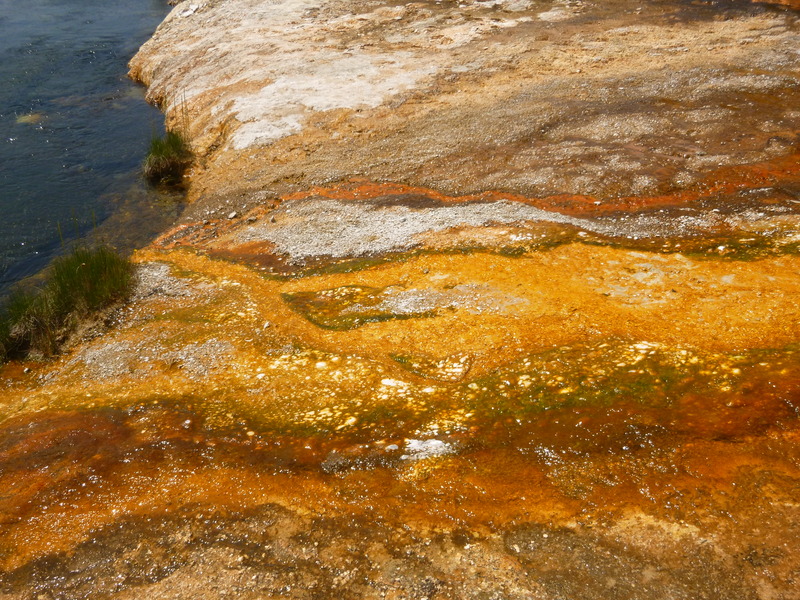 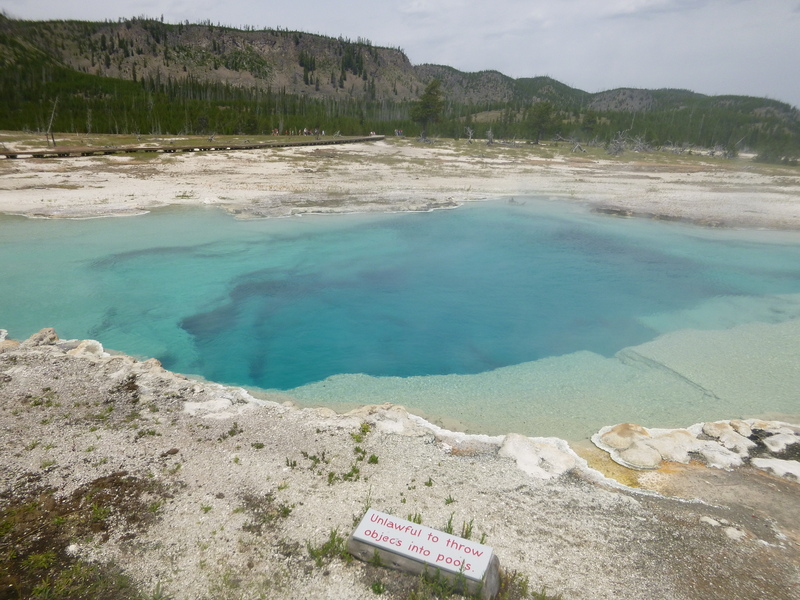 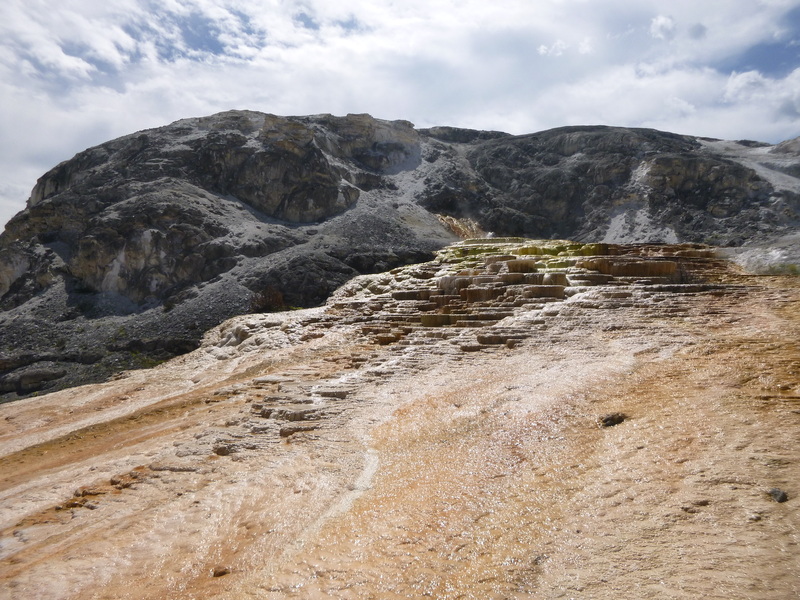 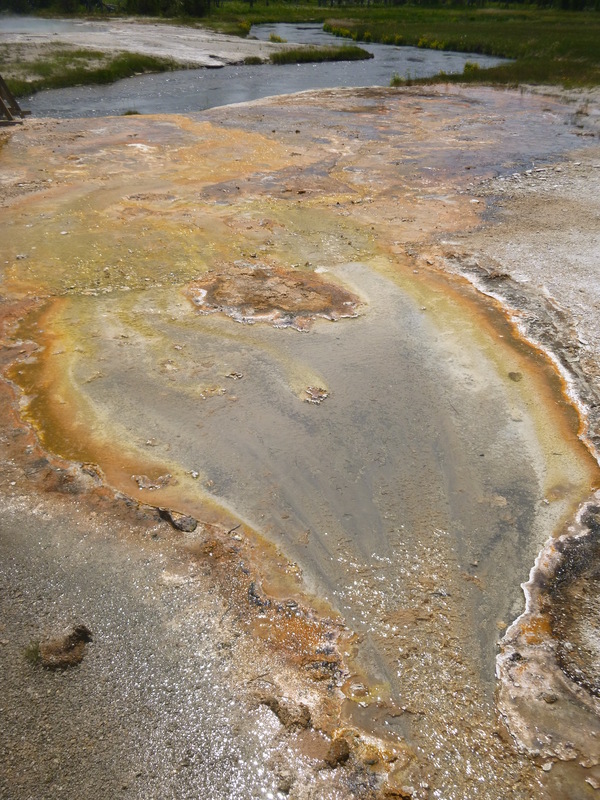 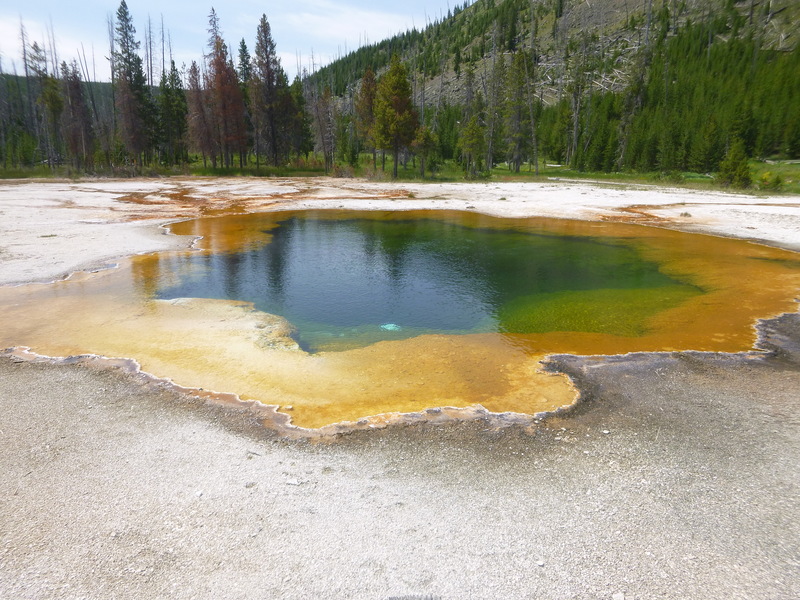 The geysers and hot springs tend to be stunning, varying between saturated cerulean color in their centers due to suspended silica particles, to deep rust, orange, yellows, and reds at the edges and in runoff where thermophiles (organisms that live in extreme heat) flourish. 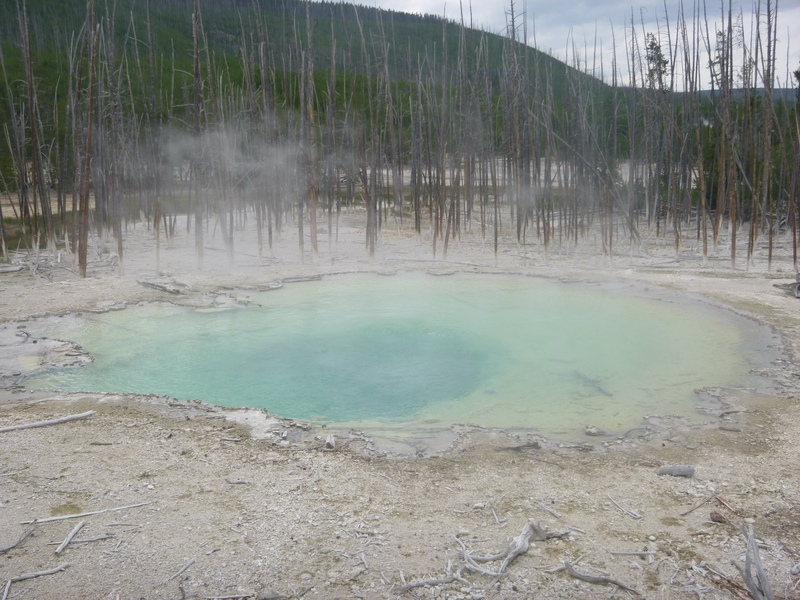 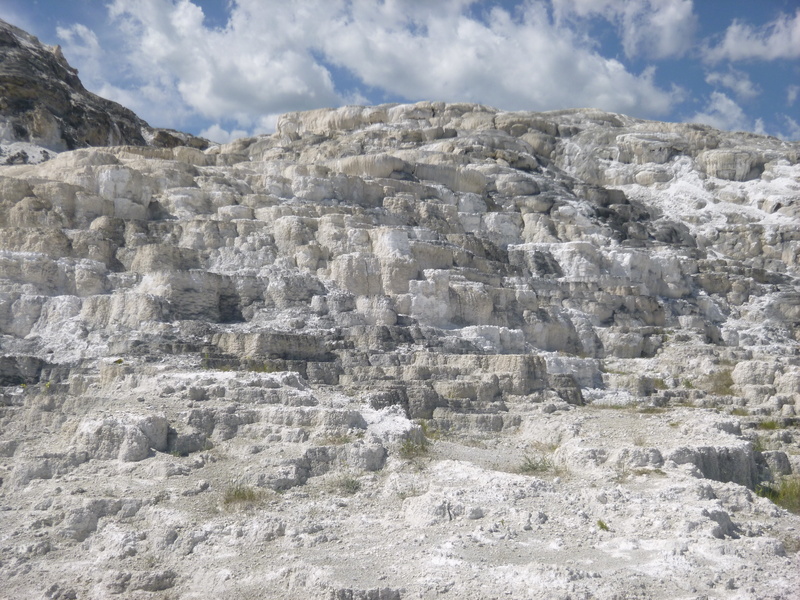 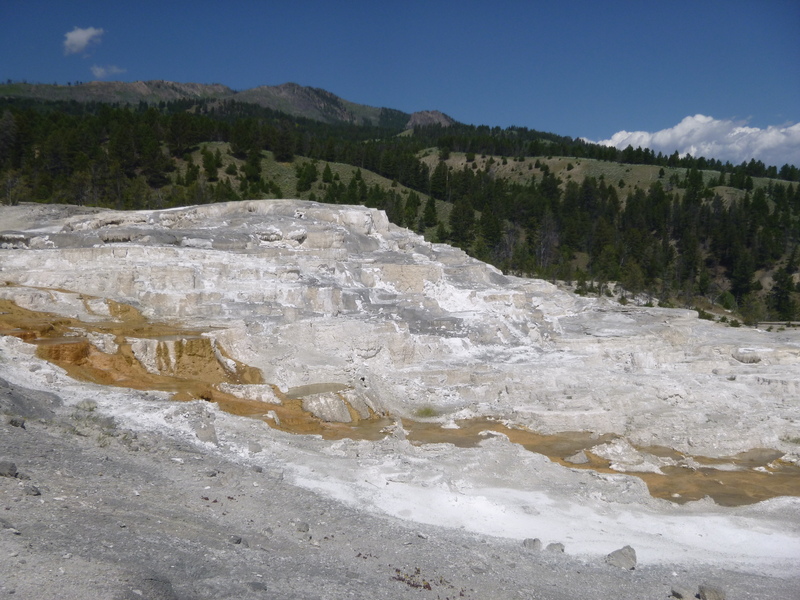 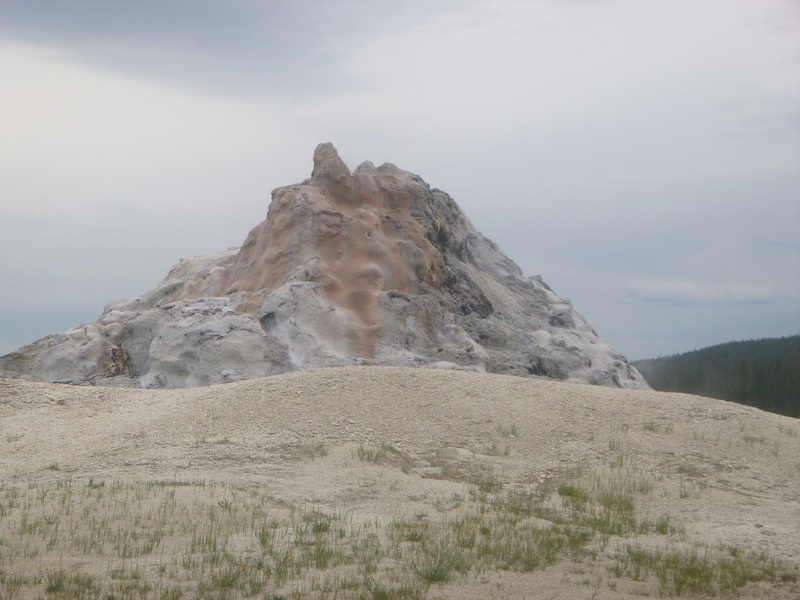 Other types of geysers called cone-type geysers are projected above the ground rather than sunken, giving the appearance of small, white volcanos. 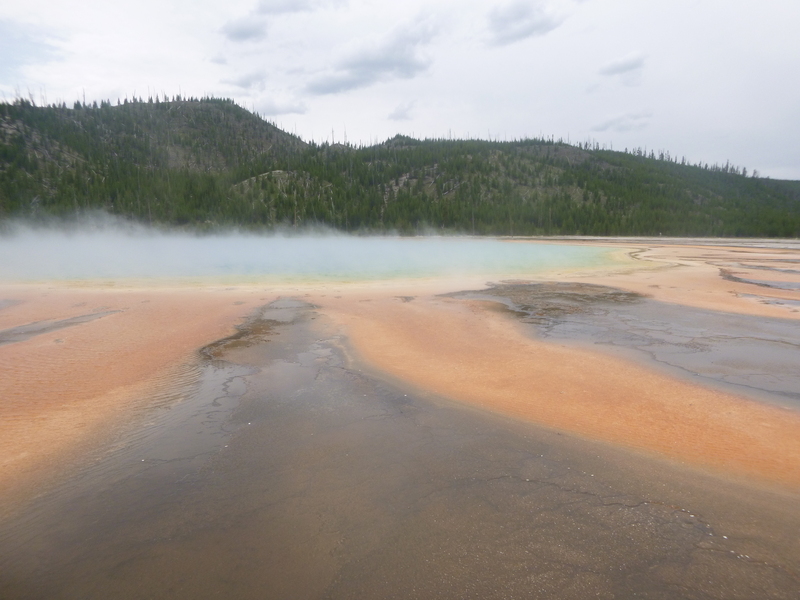 With an endless variety of forms, the geysers and springs were captivating. 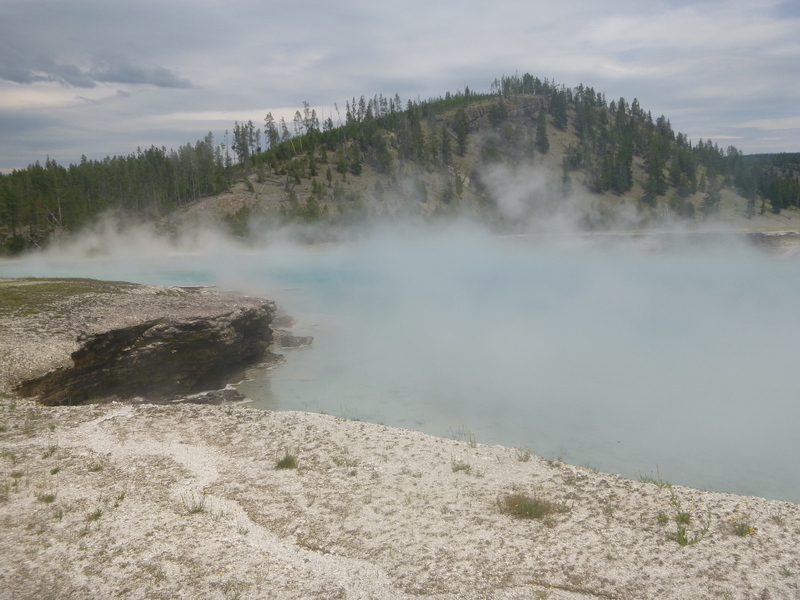 ← Grand Teton National Park, Part 2: Buffalo, Kamikaze Deer, and a Mountain Climb. 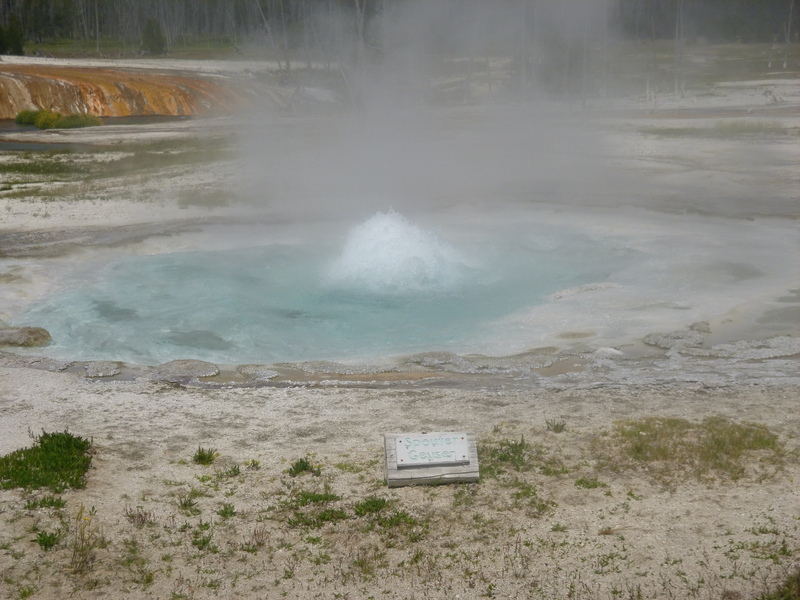 And an Introduction to Yellowstone. 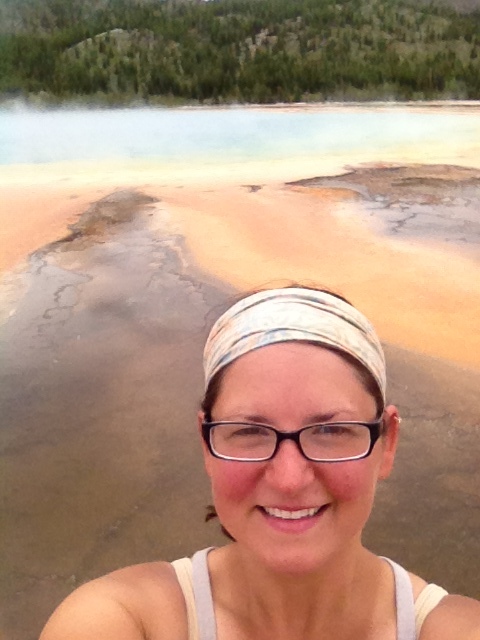 Thanks, Nadi! 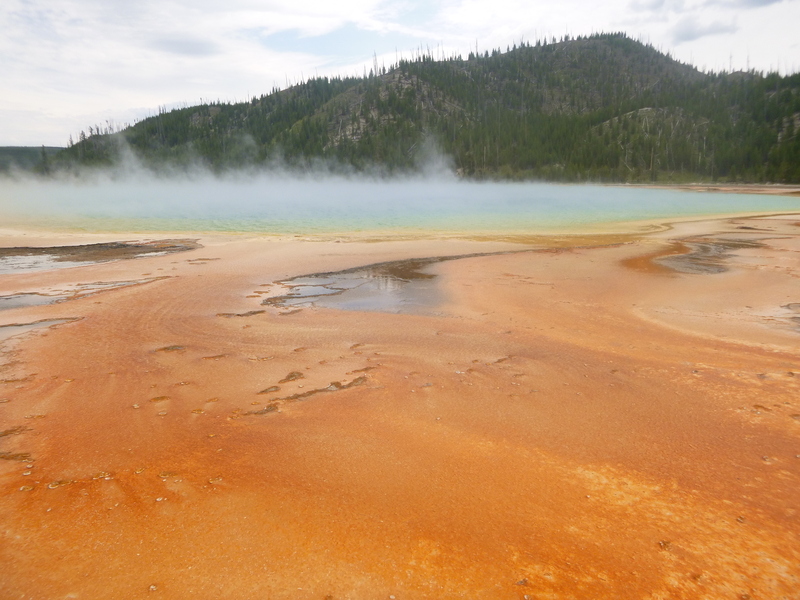 I am definitely having a wonderful time. 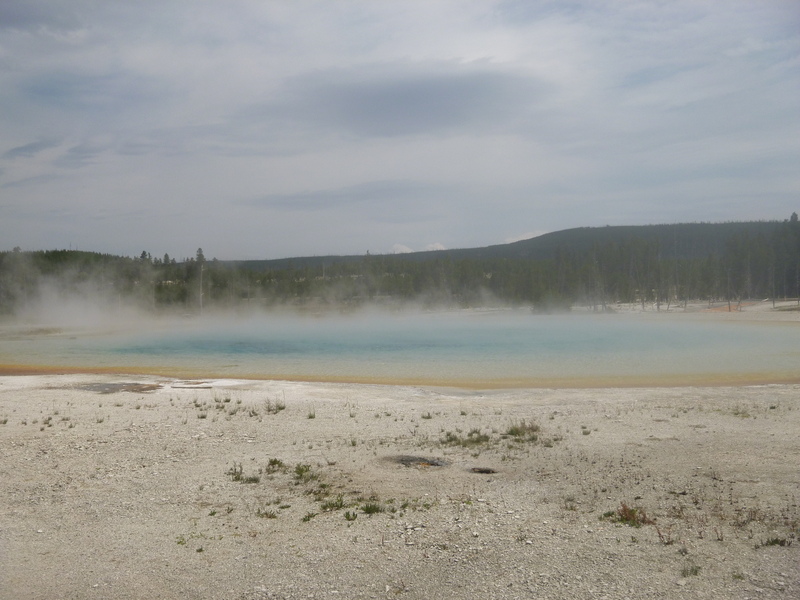 Miss you guys!